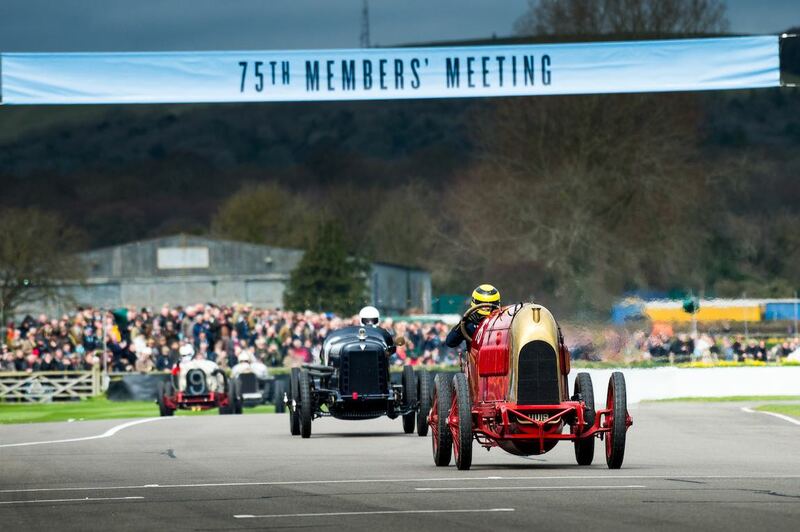 The Goodwood Members Meeting 2017 was staged over the weekend of 18-19 March at the iconic 2.4-mile Goodwood Motor Circuit in West Sussex, England. 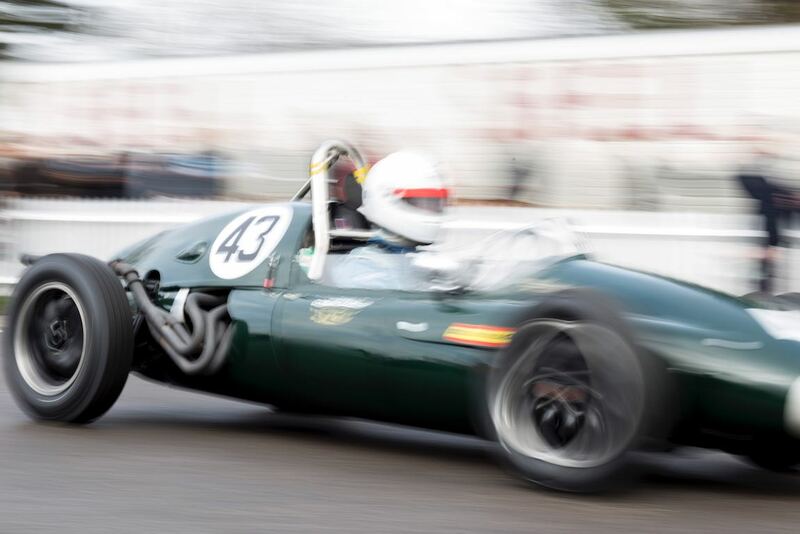 The visitors on-site over the 75th Members’ Meeting weekend were treated to some real edge-of-the-seat competition, with close wheel-to-wheel racing. From Edwardian racing specials up to 1923 to the mighty GT1 racing machines of the 1990s, this year’s event was overflowing with exceptional races and exhibitions. 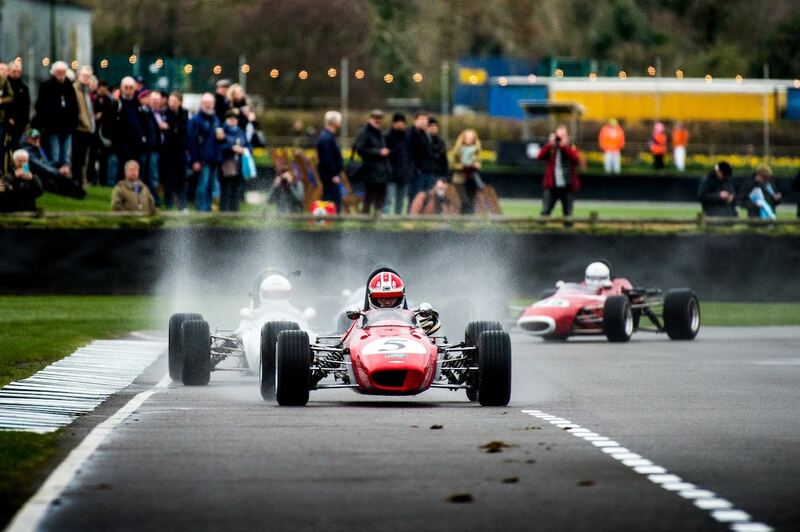 Shrieking ’70s sports-racing cars took to the track for high-speed demonstrations over the race weekend. The 3-litre era produced many iconic machines, with 16 different makes and models circulating at speed, some with period drivers. A highlight for many was seeing — and hearing — the one-off McLaren-DFV M8C which was driven by Alain de Cadenet whose Ecurie Evergreen fielded that car originally. De Cadenet’s other former mounts, the Brabham F1-based ‘Duckhams Special’ and Lola T380 also ventured out on track. 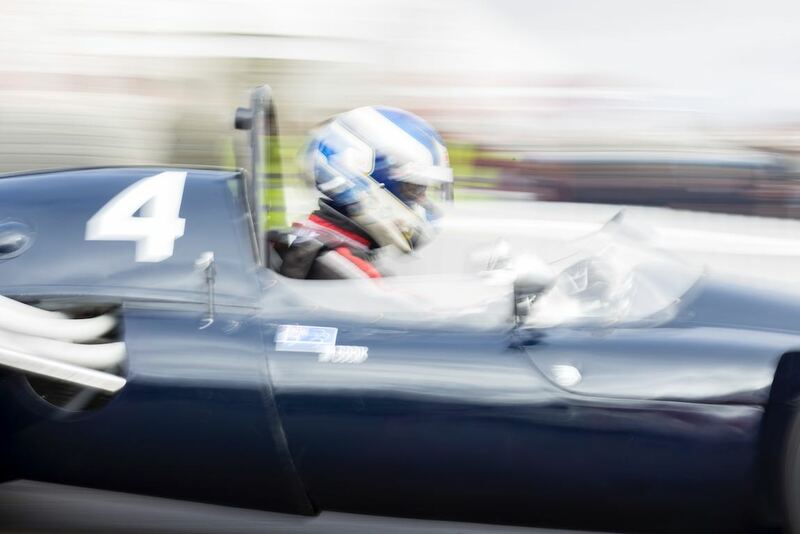 Former Formula Three hot-shoe Martin O’Connell put on a show aboard the dramatic-looking TOJ-Cosworth SC303, but nothing could match the Rob Hall-driven Matra MS670 for sheer noise and drama. Also not be missed was the high-speed demonstration celebrating 1990s GT1 cars that raced in the original FIA GT Championship. Race cars around this historic venue included a brace of Porsche 911 GT1, Mercedes-Benz CLK-GTR, an ultra-rare Lotus Elise GT1, Ferrari F40 LM and the McLaren F1 GTR. 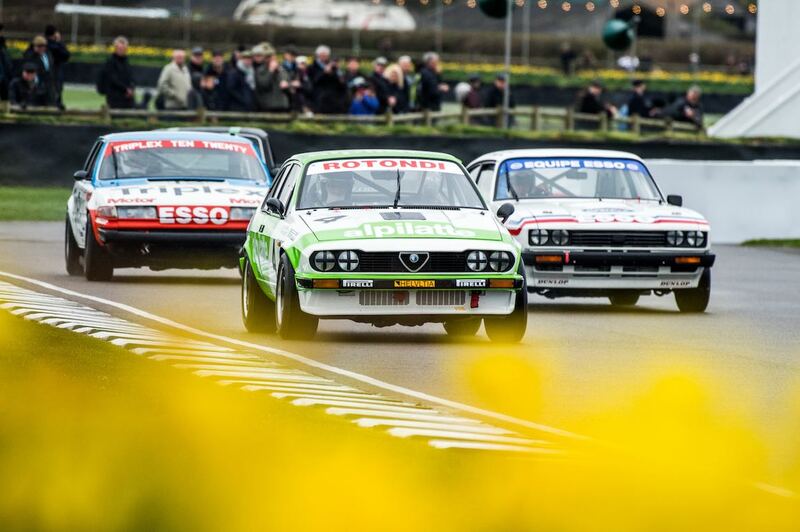 Touring car racing has long been a central theme at Goodwood, both in period and since the circuit reopened in 1998. This year, the Members Meeting honoured the much-missed Group A category that blossomed during the 1980s. A wide variety of cars that competed in period took to the track over the course of the weekend, ranging from the sublime (Jaguar XJ-S) to the faintly ridiculous (the ultra-rapid Volvo 240 Turbo ‘Flying Brick) via Rover SD1 Vitesse, BMW M3 and Sierra RS500. Not only that, ’80s tin-top heroes such as Steve Soper and Roberto Ravaglia got behind the wheel steering them agai. The Goodwood Members Meeting 2017 drew to a close with a convincing win for Simon Hadfield during a spectacular Surtees Trophy encounter. The fastest race of the weekend for sports-prototypes that ran from 1962-66 saw the veteran driver blast his Lola T70 into an immediate lead as soon as the flag descended. He was never headed despite a safety car period after Laurie Bennett went off at St. Mary’s following a robust challenge, with other cars colliding after he regained the track. Once the race restarted, Hadfield scampered away, with Tony Sinclair’s Lola T70 leading home Ford GT40 driver Sam Hancock after fighting for the podium positions. 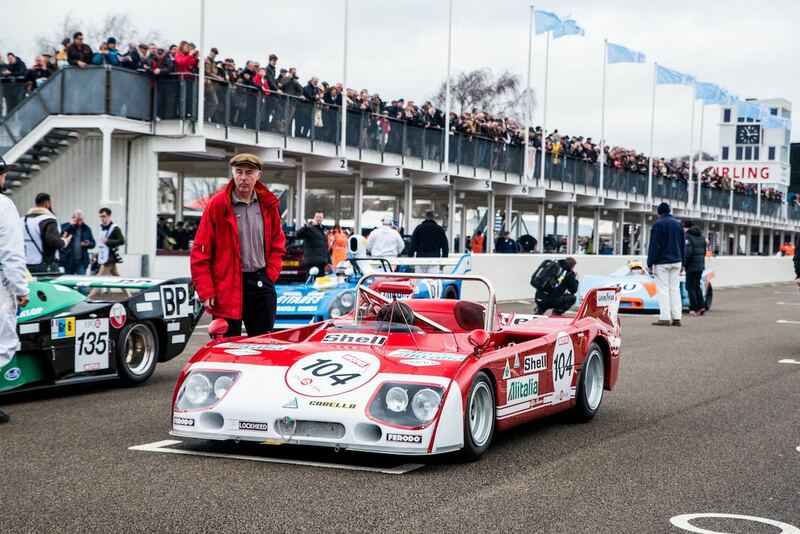 Similar to 2015 and 2016, Sports Car Digest also documented the 2017 Goodwood Members Meeting with the following selections from the 75th Goodwood Road and Racing Club event. Hope you enjoy. More cars, fewer people, please. The “AC Cobra 289 biting hard into the corner” (with a little opposite lock, as a bonus!) was superb. And don’t do that artsy blurring of the car. Perhaps Mr. Thompson should grab his camera and show us how it’s done. At least we’ll know it won’t be “artsy”. 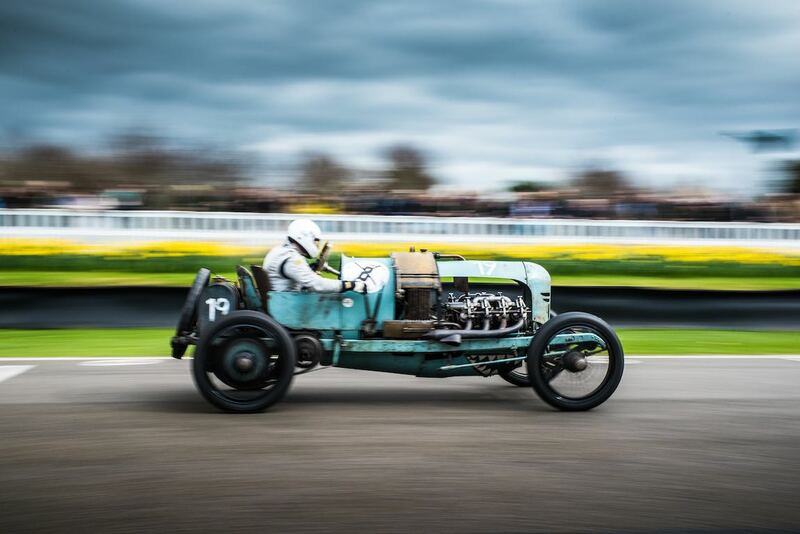 Please note that the SF Edge trophy was raced by Edwardian cars built before 1924. So much older than just pre-war if you mean WW2. It was a brilliant weekend that is summed up in these nice photos. Thanks. I echo the comments about photos of cars, but I like the one of Lord March with Mary Berry (queen of the kitchen). 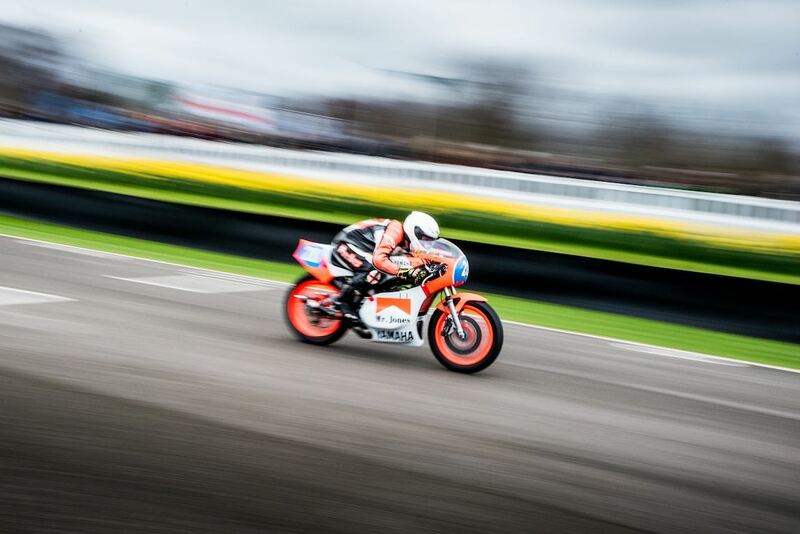 I like the impression of speed that some of the ‘blurred’ shots present. However, it’s often the case that the photographer is shooting using aperture priority, which leaves the camera to set the shutter speed, and that can cause excessive blur if the aperture isn’t set appropriately to the lighting conditions. In a situation like Goodwood, where the action is non-stop, the photographer has only moments to adjust the camera’s settings, so either they have to ‘guess’ on the settings or put the camera in ‘auto’ mode and accept the results. A hard choice indeed. I have to disagree, most of the photographers there in an official capacity would be shooting panning shots either in shutter-priority or full manual mode, and I can almost certainly guarantee that the shutter speed used was selected deliberately to create the sense of motion seen here. Whether the shots work is down to personal taste, I prefer lots of motion but the car sharp and in focus, but its not always possible especially if there are objects / people in the way, and very much depending on distance to the subject and its direction of travel. I love the photos of the cars (blur and all) and the people. These events are about the cars of course, but they would not exist without the owners, drivers, support people and spectators, and the more that I cover these events, the more that I realize the importance and value of documenting them.